Bala Ganapathy : The grace of a childlike mind that is able to absorb Source. Bhakta Ganapathy :Grace of intense love for the Divine. VÃra Ganapathy : Grace of fearlessness. Shakti Ganapathy : Grace of unlimited energy. Dvija Ganapathy : Grace of sacred knowing through death, “born-again” wisdom. Vighna Ganapathy : Grace of destruction of obstacles- the Lord of the Journey! Vijaya Ganapathy :Grace of victory. Nrtya Ganapathy : Grace of the inner joy- the dance. Ãrdhva Ganapathy : Grace of ascendance. KshipraprasÃda Ganapathy : Grace of immediate mercy. 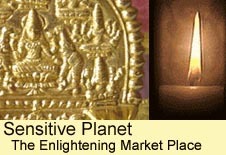 Shristi Ganapathy : Grace of manifestation and creations. May humanity arise in the awake consciousness of wisdom that enables each of us to be the prophets and masters of higher consciousness! May each of us be instruments of Source and in our breath, the ascendance of collective consciousness. We are the messengers of peace, love and Oneness of Source!